La Feltrinelli is the most spread chain bookstore in Italy, with 11 locations only in Rome. As you can imagine, we were reluctant to even consider adding it to the Guide, but we definitely wanted to see one of their stores - La Feltrinelli International, dedicated solely to titles in languages other than Italian (vast majority in English). This specialized branch of La Feltrinelli opened in the summer of 1996 and it is located close to Rome's main train station and Piazza della Republica. Through the years, it has become a well-known and very popular destination for English speaking and reading public and after visiting the bookstore, it's not difficult to see why. Chain bookstores have a strong tendency to impress the customers with their sheer size - La Feltrinelli is not an exception in this respect. However, we were pleasantly surprised, that in this case, the volume is not the only aspect that makes the stock of this bookstore worth mentioning. But first off, lets get the numbers out of the way - 2 floors, over 100 thousand titles. Although we're primarily focused on English books, we have to point out one aspect of this bookstores that puts it ahead - the word International highlighted in its name translates into a very good offer of titles in French, but also in Spanish, German or Russian. This bookstore is also a good option for those intending to improve their language skills in any of the above mentioned languages. Practically the whole space of the underground floor is occupied by language learning materials, coursebooks, readers and dictionaries. A vast selection of books on Rome and Italy is also on offer to satisfy the tourists, as well as many coursebooks in English for those who wish to learn Italian. 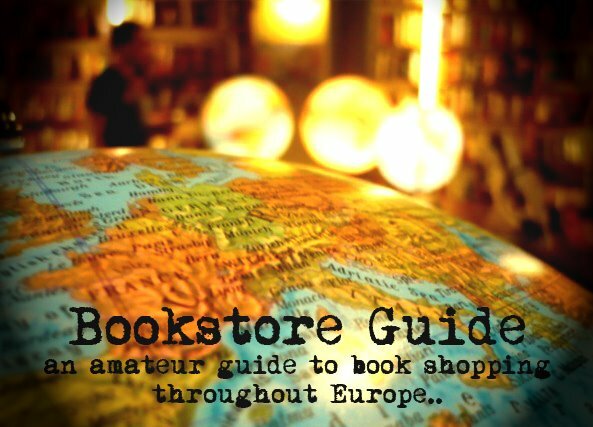 A bit surprisingly, the most impressive part of the bookstore's stock is probably concentrated in the backroom on the ground-floor which holds the travel section - the amount and quality of titles on offer is more than likely to satisfy most travelers. The fiction section also showcased a satisfying selection of novels, although a bit limited in a way - while some popular authors were covered almost completely (almost a full shelf of Murakami's books), several interesting authors (perhaps not as widely known) lacked completely. Thanks for this blog, and for the Rome reviews in particular!